Governments and societies around the world are under sustained and increasing pressure to address one of the greatest challenges of our times: providing protection and assistance to the rising number of people displaced across the globe. More than 65 million people are now forcibly displaced – including more than 22 million refugees. The number of resettlement places available for refugees around the world is grossly inadequate to respond to the need. In 2017 the UNHCR forecasted that only 93,200 places would be available in resettlement countries that year, less than 0.5% of all refugees globally, and only 8% of the refugees identified by UNHCR as in greatest need of resettlement. As a result, the responsibility for the vast majority of the world’s refugees is currently borne by less wealthy nations of the world – typically those most proximate to refugee-producing countries. 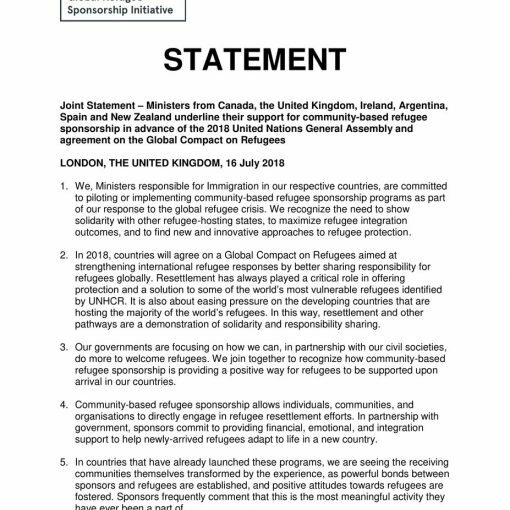 United Nations declarations and expert bodies are calling for greater responsibility sharing – which means rich countries doing more in responding to the challenge of forced migration as well as encouraging the engagement of new stakeholders, including private individuals and organisations. 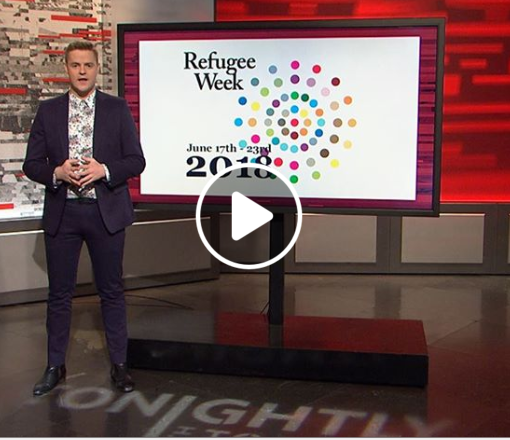 At the same time, we know from experience that many Australians are willing and wanting to offer their own time, money and other resources to help refugees find safety and successfully integrate in Australia. What is required is a program which draws on lessons learned from Canada’s successful community sponsorship scheme, adapted for the Australian context. 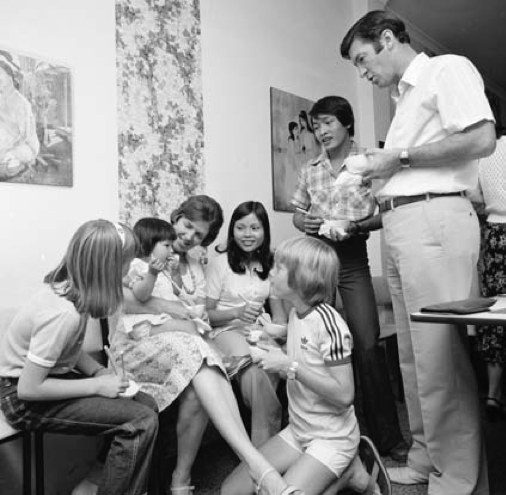 The Canadian community sponsorship system has evolved over more than 40 years, and resulted in the resettlement of more than 300,000 people. Size of program: The initial program size should be 5,000 places per annum, growing to 10,000 places per annum over the next five years. These places should be additional to those provided by Australia’s humanitarian migration quota. 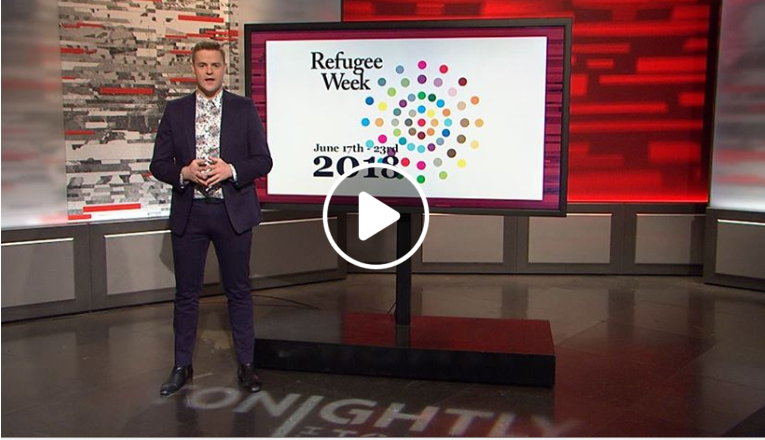 Eligible refugees: These should include those in most urgent need of resettlement as identified by UNHCR, as well as those seeking family reunion in Australia and those who Australian employers may wish to sponsor. Priority should be given to UNHCR-referred candidates and employability should not be part of the eligibility criteria. 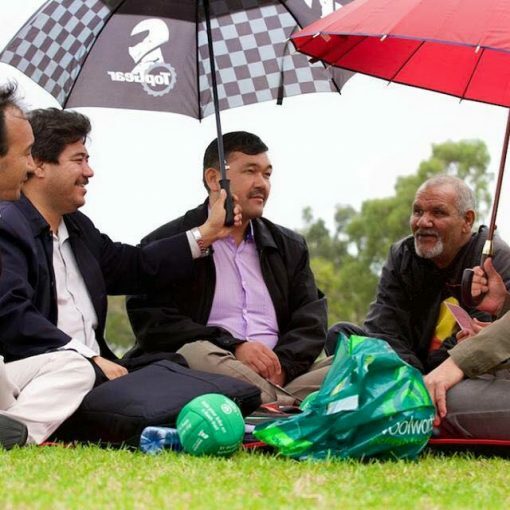 Eligible sponsors: Those individuals wishing to sponsor refugees should do so as a collective ‘sponsor group’ under the auspices of a registered non-profit organisations, including incorporated community associations, local councils, religious organisations and other charities (‘Approved Community Organisations’ or ‘ACOs’). 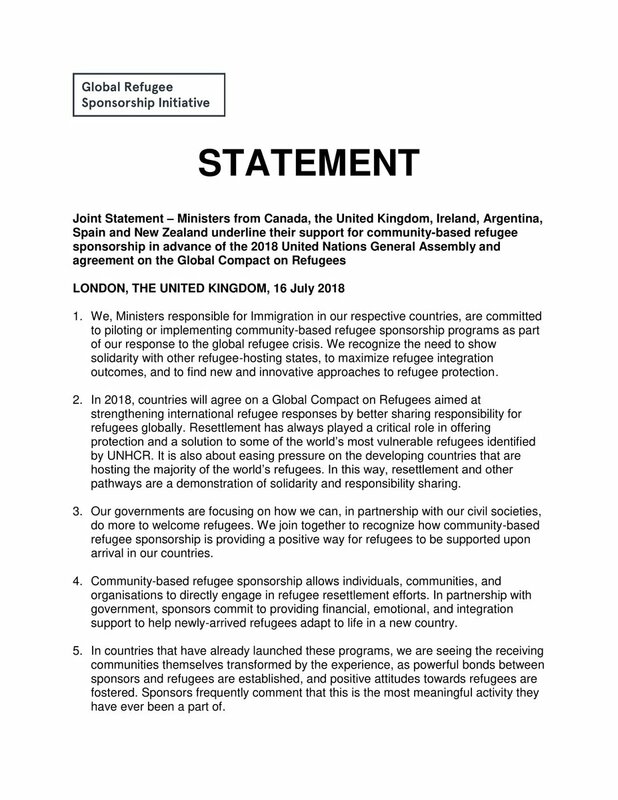 ACOs should be able to demonstrate that each sponsorship group will be capable of providing settlement support to the sponsored refugee(s) for 12 months. Cost of sponsorship: The concept of community sponsorship involves the sponsoring community organisation covering the cost associated with a refugee’s initial stages of settlement, as well as airfares and medical checks prior to departure. 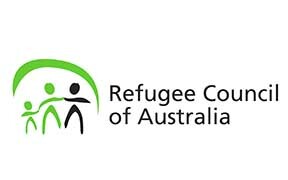 Sponsor groups under the auspices of an ACO should be expected to raise funds to cover the costs for refugees for the first year of living in Australia. This should include costs for food and living expenses, rent and initial costs to make a new home in Australia. To ensure people do not experience hardship, sponsored refugees should have access to Centrelink (including rent assistance). 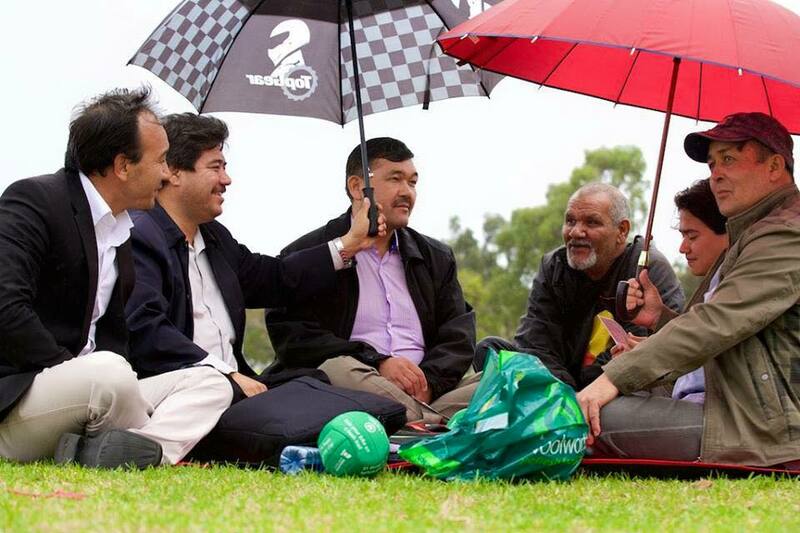 However, the cost of Centrelink for one year should be covered by the sponsors. Our proposed model would reduce the cost of sponsoring a family of five from up to $100,000 (under the CSP) to between $20,000 and $50,000, depending on the extent to which income support is required in the first year after arrival. The cost of sponsoring an individual would be between $7,000 and $20,000, depending on the period of income support required. Some of these costs could be offset if sponsors are able to provide in-kind support (such as free accommodation or furniture). Access to public services: Sponsors should be responsible for providing settlement support for the first year of settlement. However, sponsored refugees should have access to all other social services, Medicare, English language tuition and education, on par with other resettled refugees through the Refugee and Humanitarian Program. These costs should be borne by the Australian Government. After one year of settlement, sponsored refugees should continue to receive social security support from the government, on par with refugees resettled through the Refugee and Humanitarian Program.